I'm having some problems printing complete structures with PVA, which I want to use as a sacrificial mold for further research, but also when I use PVA solely as support material. 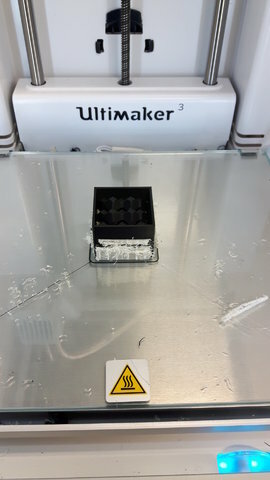 During printing, oozing results in bad quality prints and thus a low quality mold, but I also notice that my buildplate lies full of small parts of PVA (schrapnel) after printing (see pictures 1 and 2). I try to print a porous structure consisting out of cubes, which need to have support between them (see picture 3). The dimension of the support is often very small, around 2-4 mm wide. 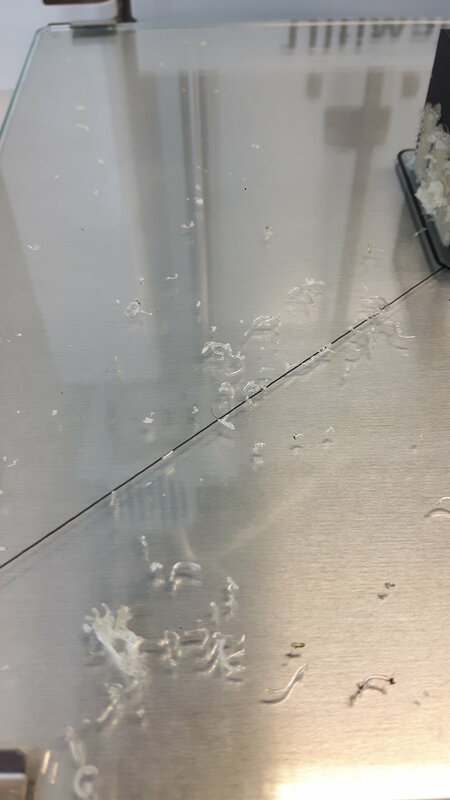 After printing the support part, some PVA is still extruded from the nozzle creating these small schrapnel. When the printer changes his printcore from PVA to PLA, this schrapnel that hangs from the BB 0.4 printcore touches the print and detaches. Most of the time, these parts are distributed over the buildplate and are not a problem, but sometimes they stick to the print and are integrated in the final structure when the next layer of PLA is printed over them. I've read already the humidity problem, which might be an issue in my case. Are there any other reasons that might cause this problem? Are there ways to solve this? I also notice a lot of oozing problems when printing with PVA as build material. Might it be possible that PVA is not optimized for this and only works as support material? Are you trying to print the PVA with the AA Core? If so, that may be a bit of an issue. Only the BB Core has been designed to work with PVA. What settings are you using for the PVA when printing and getting the "shrapnel" as you call it sticking into the PLA? I am using the BB 0.4 core for PVA and AA 0.4 core for PLA, so that should be good.